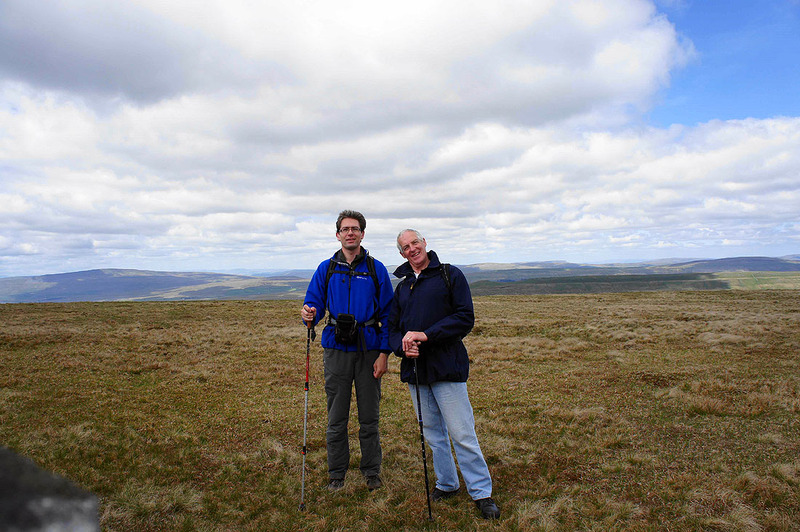 My Dad joined me for todays walk up Penyghent and Plover Hill. 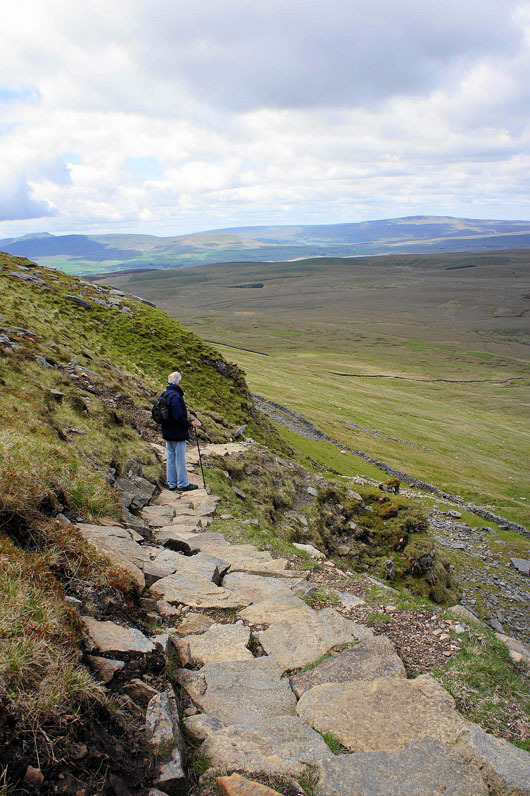 From Horton we took the lane to Brackenbottom for the popular route up Penyghent. 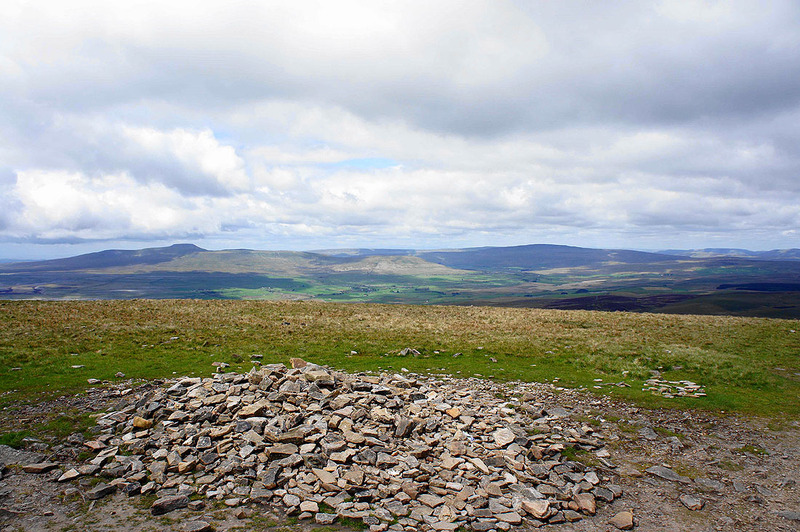 After paying the summit a visit we made our way across to Plover Hill. 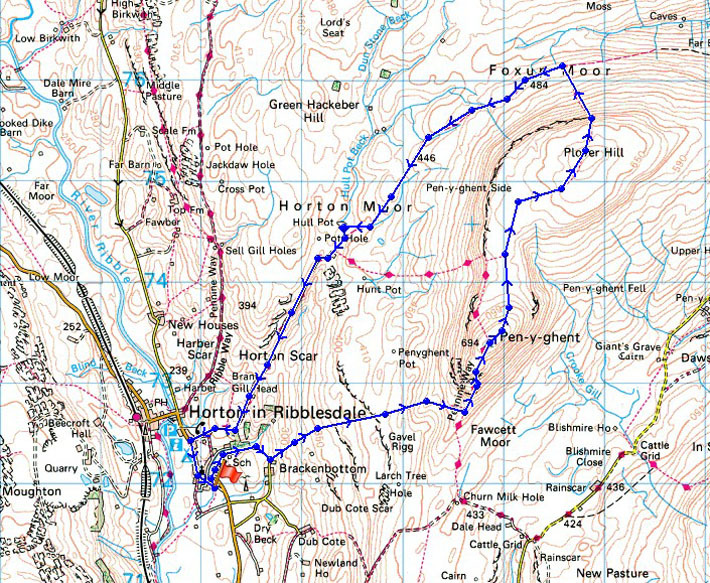 The route back was down the pitched path to Foxup Moor and the bridleway back to Horton with a short diversion to see Hull Pot. 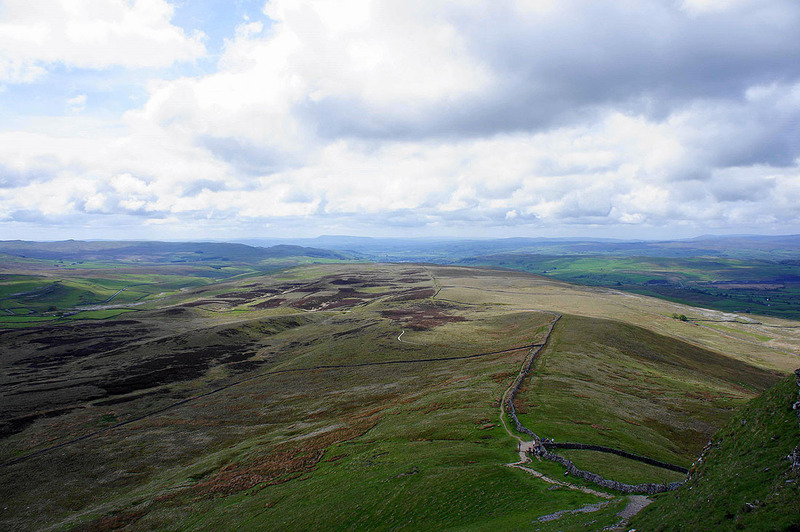 A multitude of fells to the northwest. 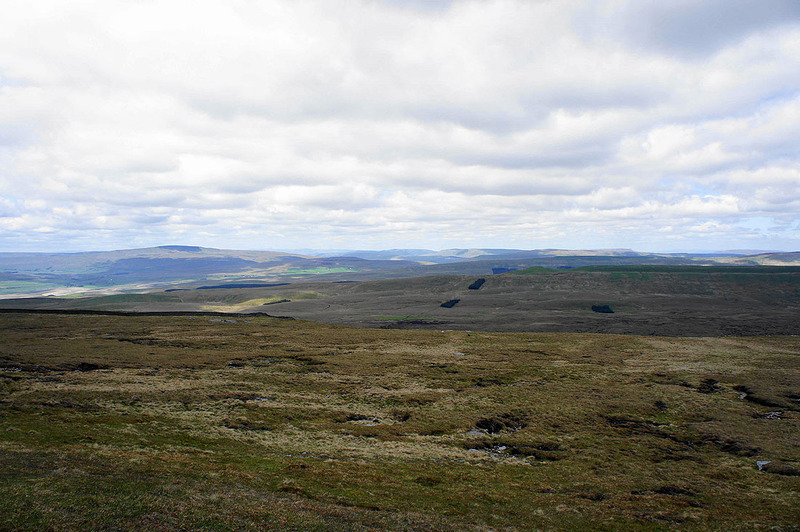 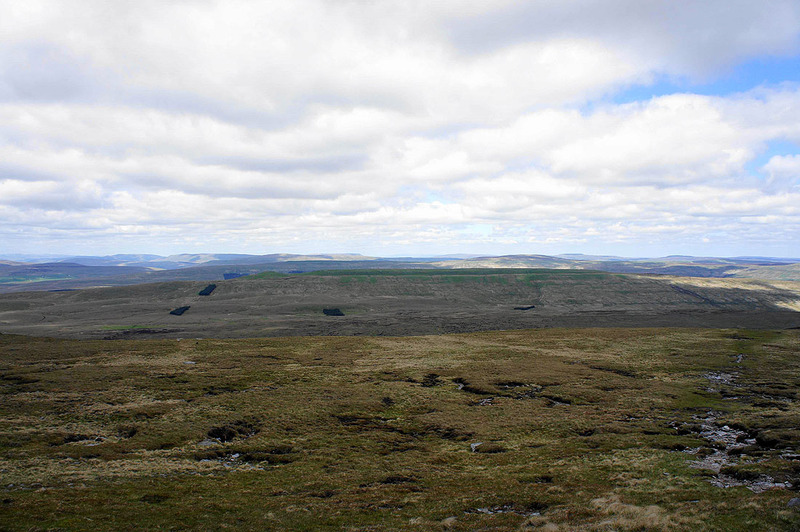 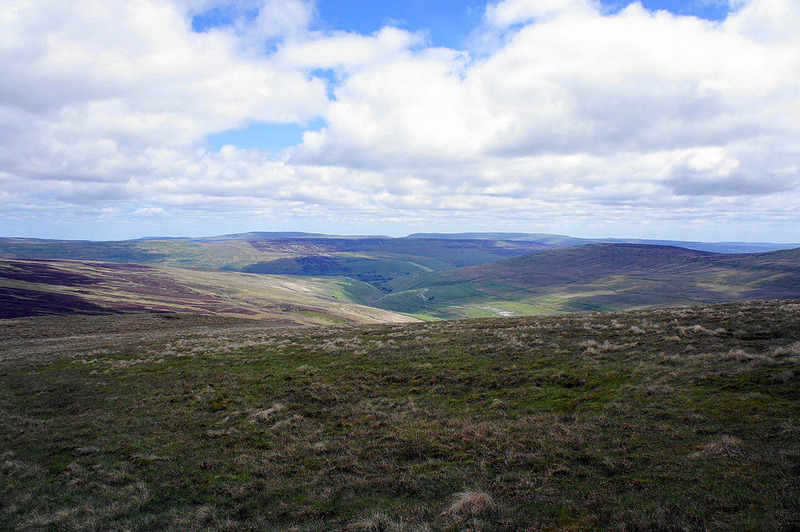 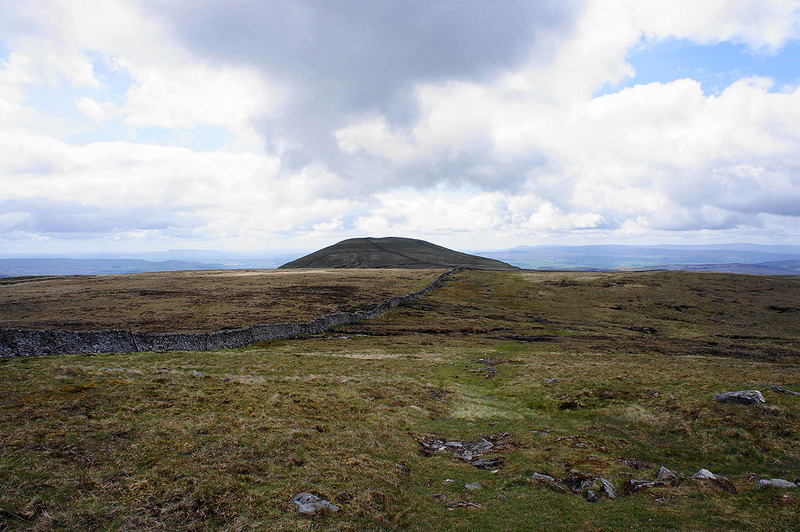 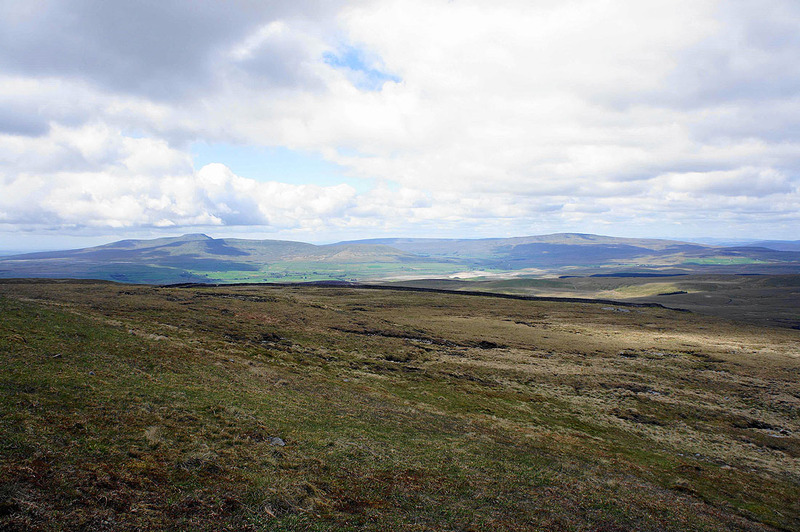 Whernside is on the left with the Howgills, Baugh Fell and Great Knoutberry Hill to its right. 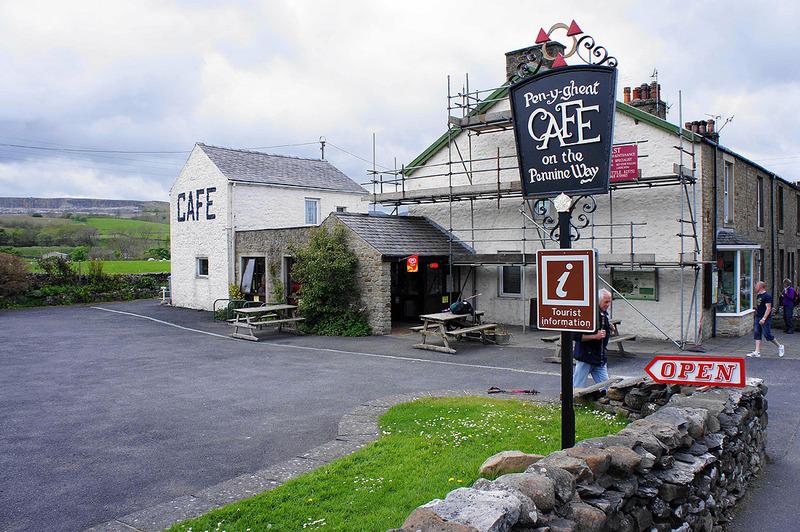 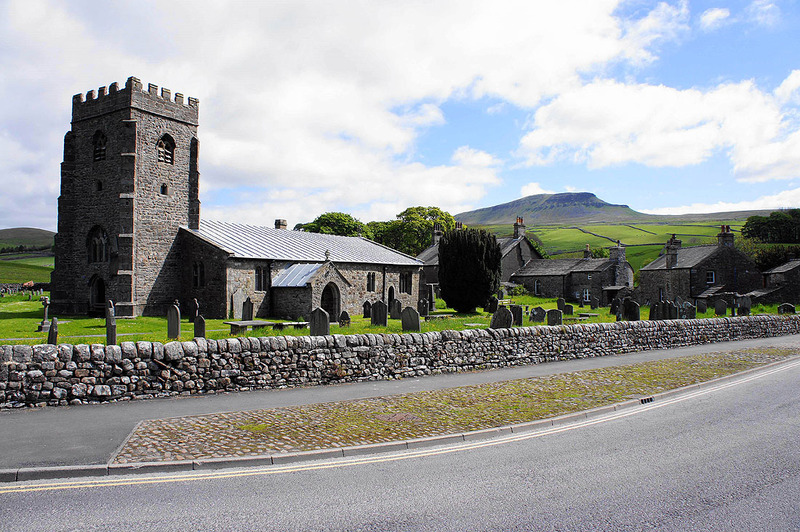 We've left Penyghent for Plover Hill. 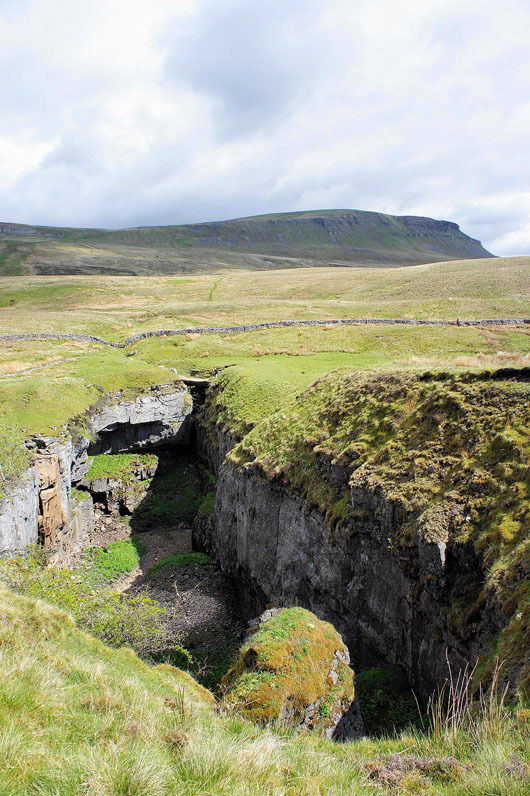 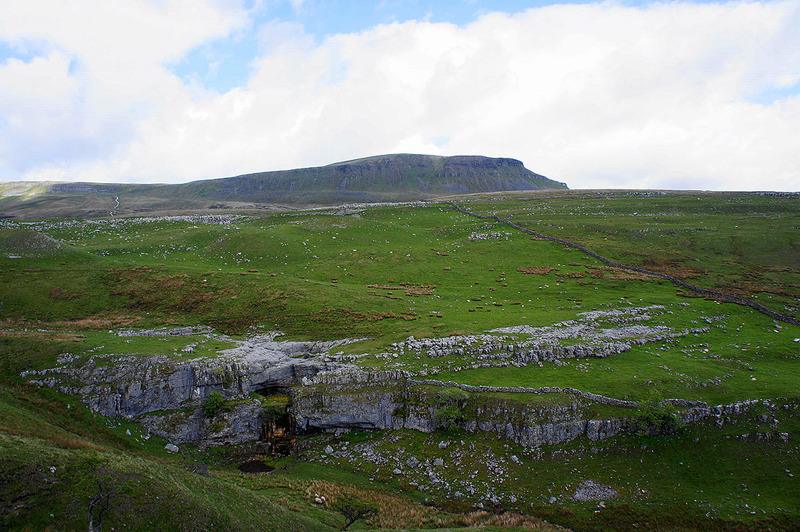 Penyghent Gill below turns right for Littondale. 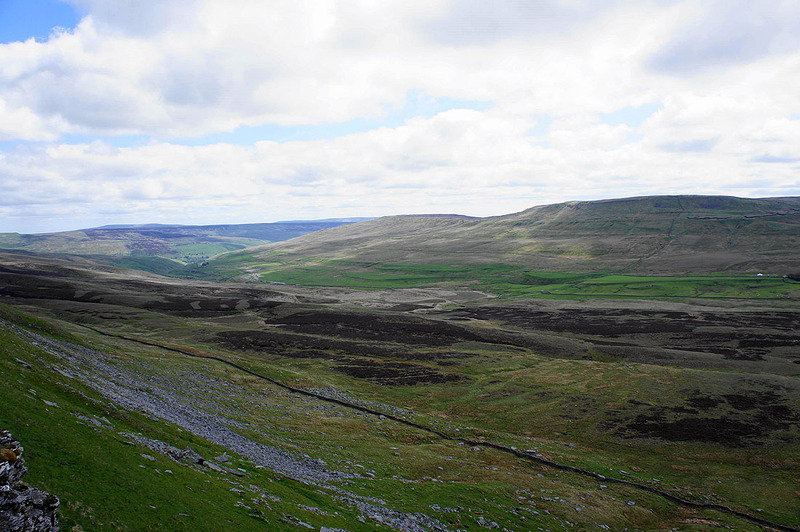 The highest hills in the background are Buckden Pike and Great Whernside. 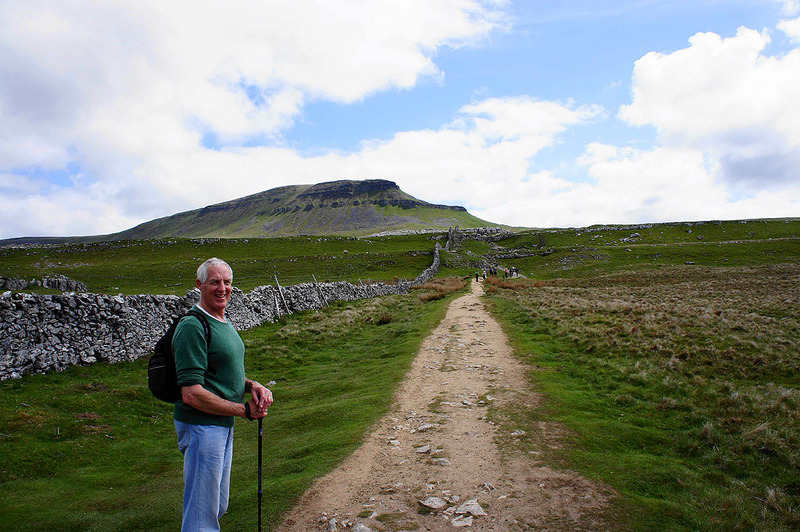 My Dad spotted this solitary flower on the walk between Penyghent and Plover Hill. 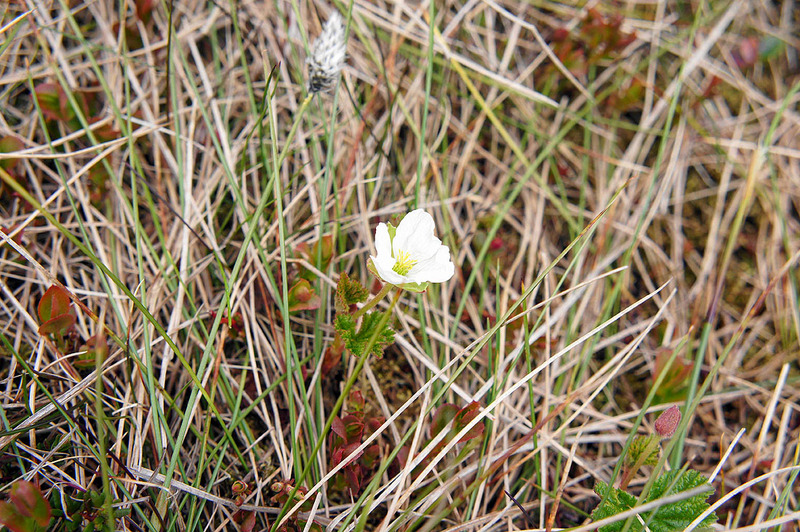 We think that it may be a cloudberry or knoutberry? 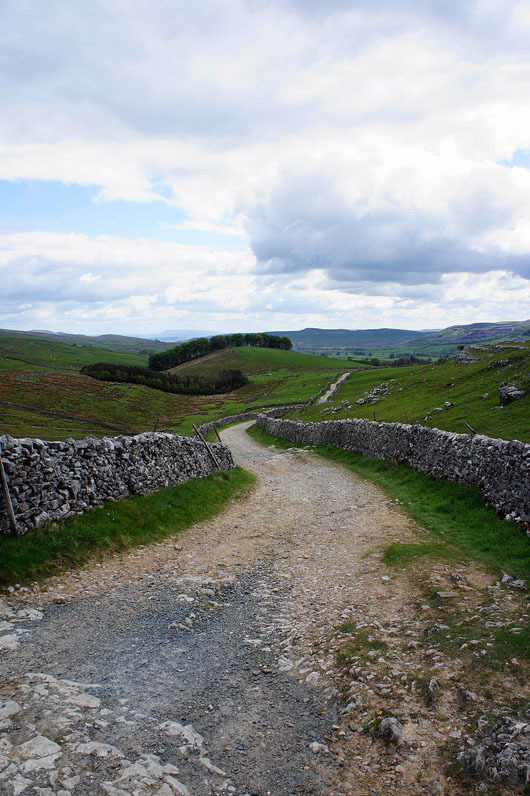 Its situation suggests that it could be. 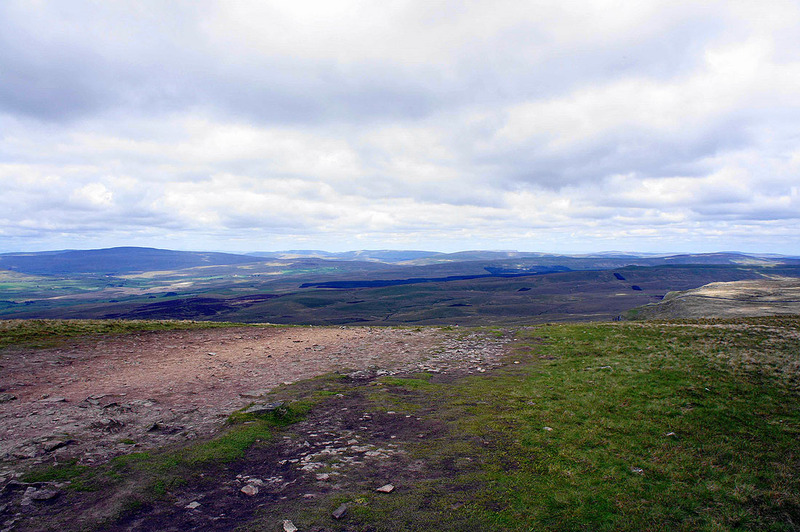 Views from Plover Hill just before commencing the descent. 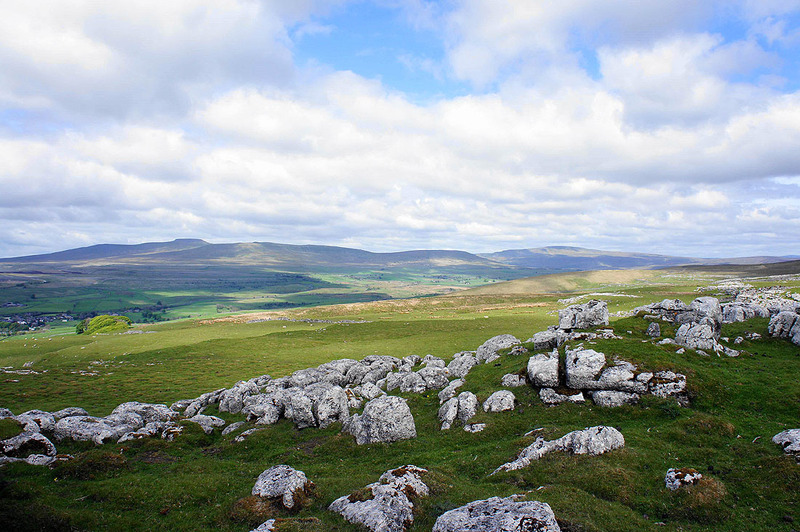 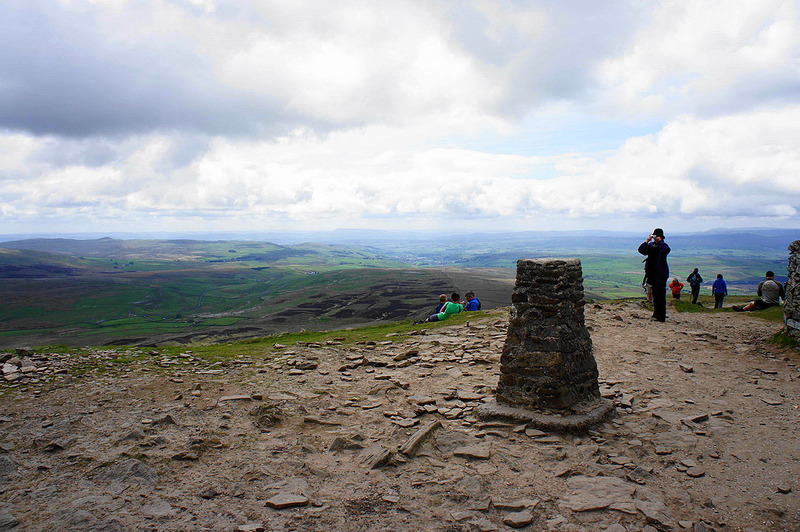 Ingleborough and Whernside.